South America. It's a continent that, up until this year, I had not set foot on, despite being fascinated by places like the Galapagos and Machu Picchu and frequently drooling over photos of Patagonia and the Bolivian salt flats. Other parts of the world had just always pulled me a little more (I won't pretend that I'm not in love with Europe). But 2016 finally presented me with an opportunity to finally visit South America – and I jumped at the chance! 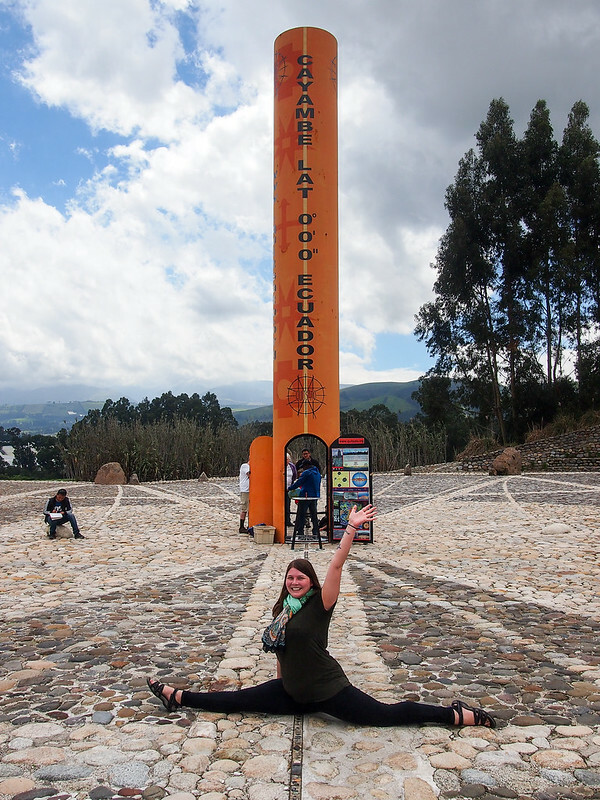 This was perfect for a week away – Ecuador isn't that far from the U.S. (in fact, no overnight flights at all were required! ), they use USD as currency, and I didn't need a visa – and yet it's so different culturally that it really did feel like an adventure. 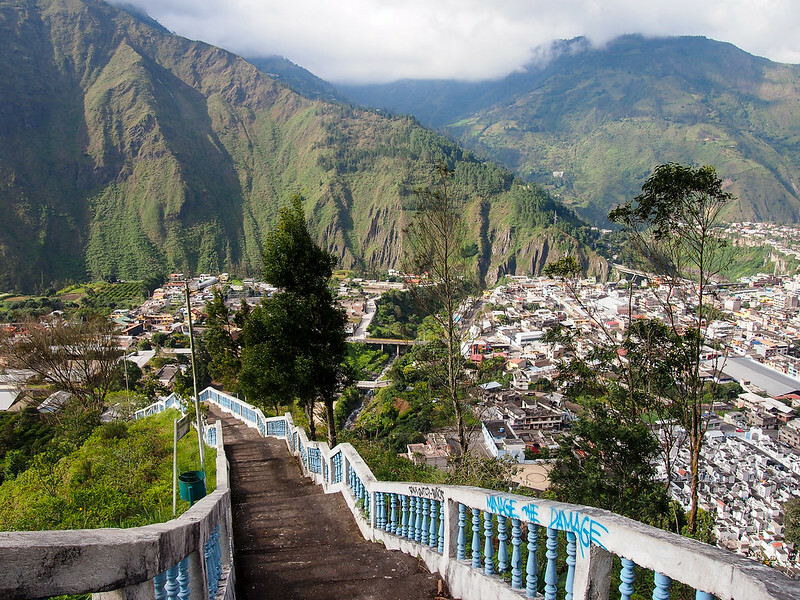 Read on to learn what to expect from this Ecuador tour! Intrepid also requires you to have travel insurance for the entirety of your trip. You may be covered under your regular insurance plan, but if you're not, I recommend buying coverage through . They offer the most affordable basic travel insurance out there. When it comes to visas, most people won't need one for Ecuador (or Peru). But if you're visiting anywhere else in South America before or after this tour, be sure to check visa requirements before you leave home. True to any trip with Intrepid, your small group will likely be a varied one. Ages in my group ranged from mid-20s to mid-70s, with people hailing from Australia, the UK, Ireland, Canada, and the US. This is a pretty typical mix for an Intrepid group, in my experience. And, as always when traveling with Intrepid, our group was small – only 11 of us. 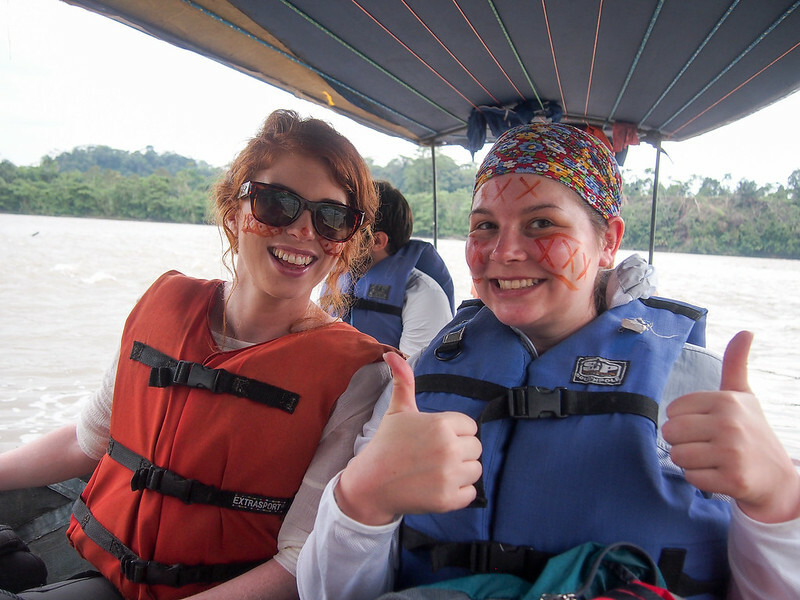 Me and Roisin heading into the Amazon! 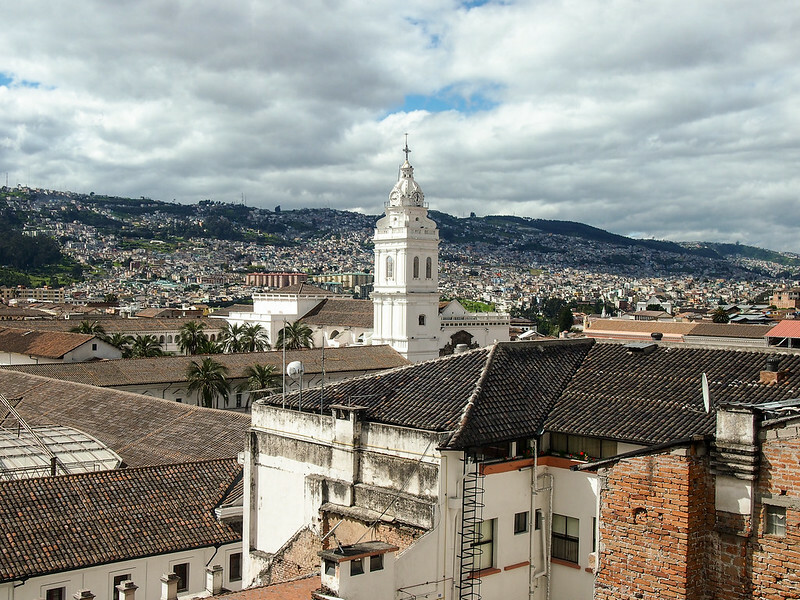 This Ecuador trip is actually the first leg on some of Intrepid's longer South American tours (like their 47-day ), so don't be surprised if some of your tourmates are traveling together beyond Ecuador. Our tour leader, a small Ecuadorian named Daniela, was great. She's been guiding tourists around her home country for years, and it definitely showed. Daniela was a great leader in the sense that she took care of all the little details of our trip flawlessly. We were never delayed, and we were always well-informed about where we were going, what we needed to bring, and when the next bathroom stop would be. A guide can make or break a tour like this, but thankfully Daniela made it. She arranged extra things for our group (like a hike in Baños and a private mini bus to take us to some extra sites on our way to Otavalo), was always willing to answer questions about life and politics in Ecuador, and recommended some seriously good restaurants along the way. She even spent bus rides helping people practice their Spanish – that's dedication! Daniela leading us on a hike. Travel on this tour is done entirely via public transport – mostly by bus. I had heard awful things about buses in South America (i.e. that it was very likely that your stuff might get stolen), but I'm happy to report that the bus rides were absolutely fine. We had assigned seats on every ride, the buses left on time, and no one had any issues other than being annoyed by Spanish Jackie Chan movies that were played on one of the buses. Just be aware that some of the bus journeys are long – sometimes up to 5 hours – and that roads in the mountains can sometimes be windy. I made sure to take every day! 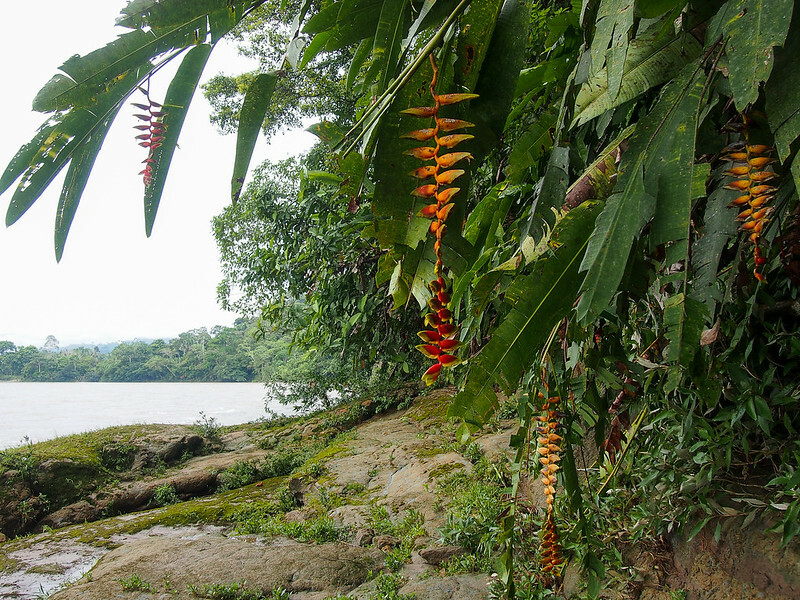 The Ecuador on a Shoestring tour (and the Ecuador to Peru Adventure) is classified as a “Basix” trip by Intrepid, meaning simple yet central accommodation, usually 2-3 star quality. If you are traveling solo, you’ll be sharing a room with at least one other person unless you pay the single supplement fee. 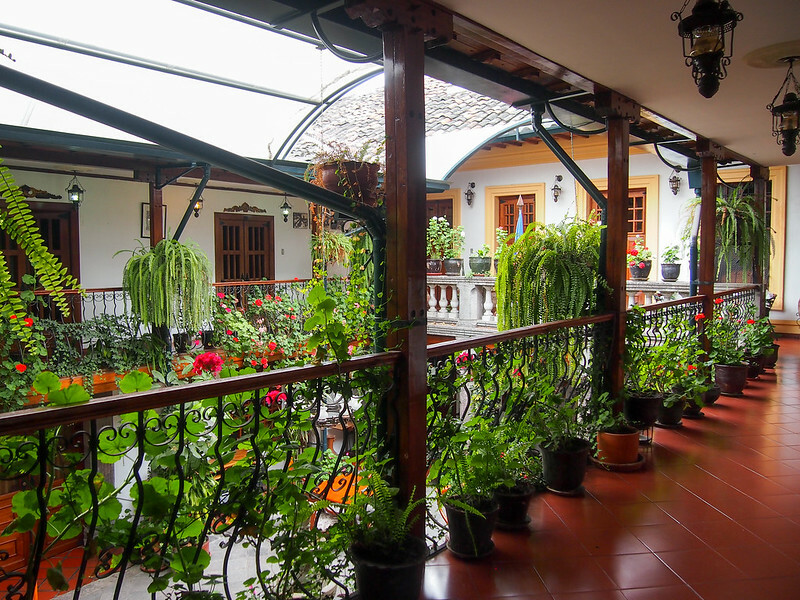 The courtyard of the Hotel San Francisco in Quito. 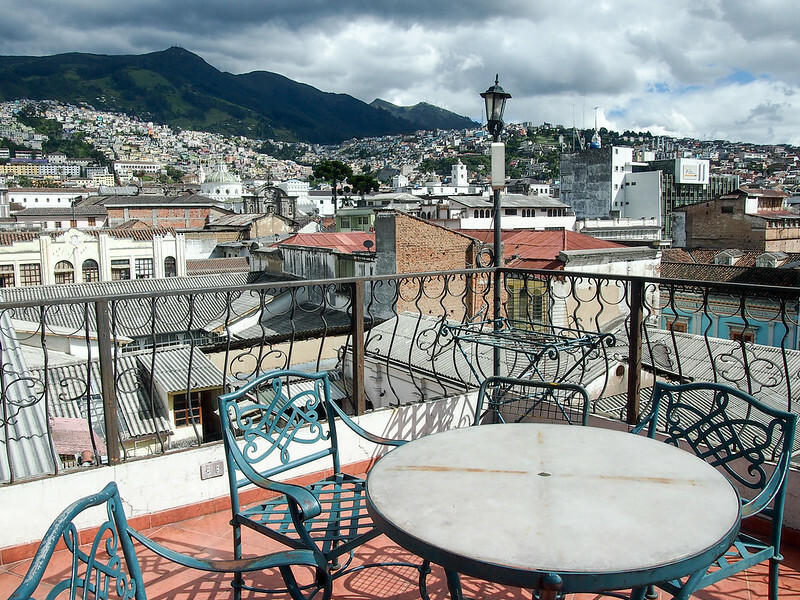 The accommodation on this trip included a hotel in Quito's Old Town with beautiful rooftop views (though beware, it can be noisy at night), rustic cabins at the in the Amazon, and a comfy and clean hotel in Baños. The hotels both had ensuite bathrooms, while showers and toilets were separate and shared at the Amazon lodge. The rooftop of our Quito hotel. This is one of the most affordable tours I've seen from Intrepid. 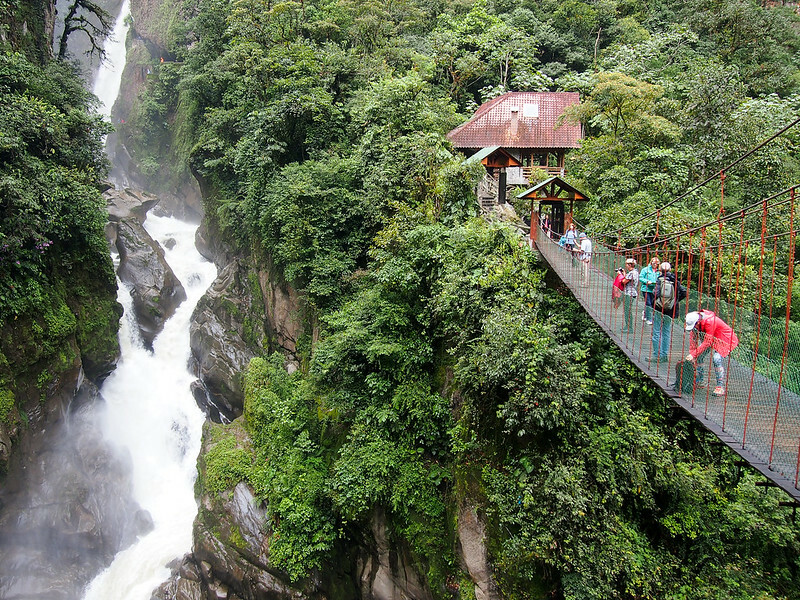 Costs usually range from $900-$1000 (USD) for the 9-day Ecuador to Peru Adventure tour. That doesn't include your airfare to Ecuador, but does include all accommodation and transport, as well as 7 breakfasts, 2 lunches, and 2 dinners. Certain cities in Ecuador (Quito included) do have a reputation for being a bit dangerous. I'm not talking about getting kidnapped or anything like that, but pickpocketing and petty theft is fairly common. The best way to prevent this is to be aware of your surroundings, travel in a group after dark, avoid carrying a ton of cash or valuables on you, and make it difficult for someone to rob you (i.e., men, don't have your wallet clearly visible in a back pocket, and ladies, invest in a cross-body purse, or perhaps even a ). If you're worried about keeping your stuff safe but lack an actual safe to put it in, consider picking up a for your trip, which you can secure around a sink or something else fixed to the floor in your room. Remember that most crimes are crimes of opportunity – make it difficult for someone to steal from you, and chances are they won't! A mosquito jacket – In Quito and Baños, you won't need to worry about disease-carrying mosquitos. But you WILL have to worry about them in the Amazon. Mosquitos here can carry anything from Zika to malaria, so you definitely don't want to get bitten if you can avoid it. I bought an , which is a lightweight mesh jacket impregnated with bug repellent. It works beautifully – paired with some bug spray, I didn't get one mosquito bite! 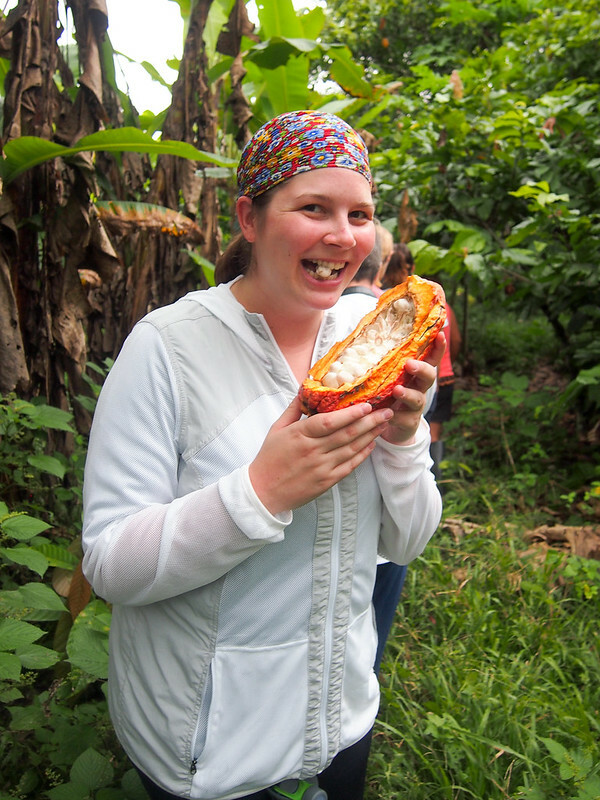 Me in my mosquito jacket, eating cacao fruit. Bug spray – You'll need it in the Amazon, where you'll also have to contend with sandflies. Sandflies don't carry diseases, but their bites get VERY itchy. I took , as well as that is safe for clothing and gear. These, combined with my mosquito jacket, worked perfectly. 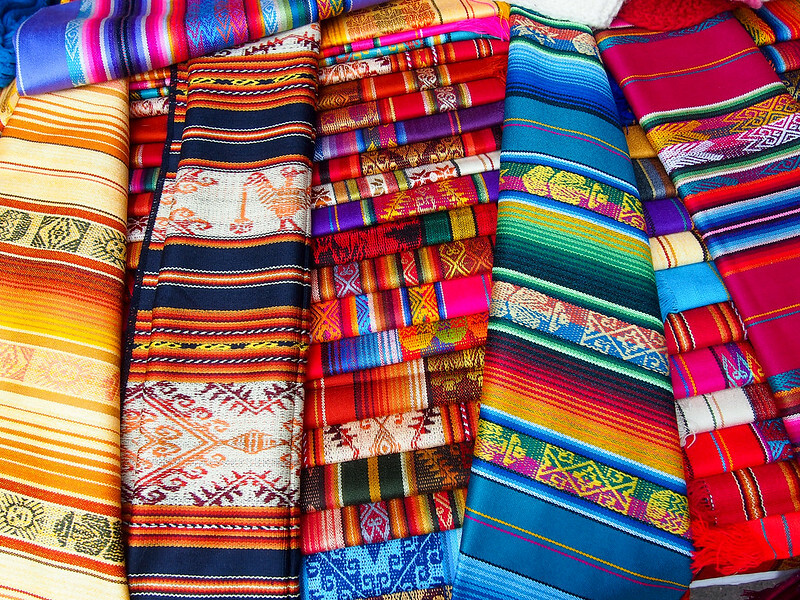 Layers – Even though Ecuador is on the equator, that doesn't mean that it will be hot everywhere. 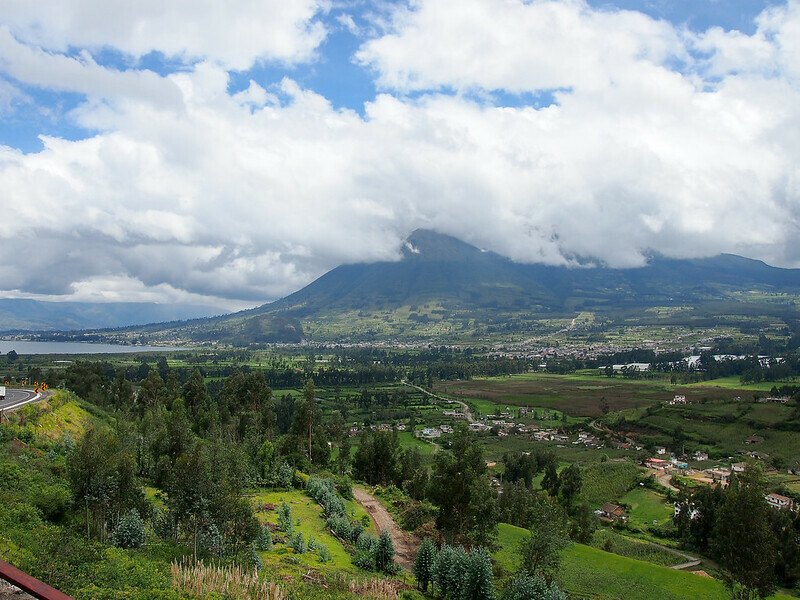 The Amazon will indeed be hot and humid, but it will be much cooler and drier in Quito, which sits at an elevation of 9,350 feet. Make sure to have a light jacket or fleece on hand. A rain coat – I went to Ecuador in March, and it rained nearly every day for at least a little while. I took a with me, which is light and packable but also completely waterproof. I also love the for women. 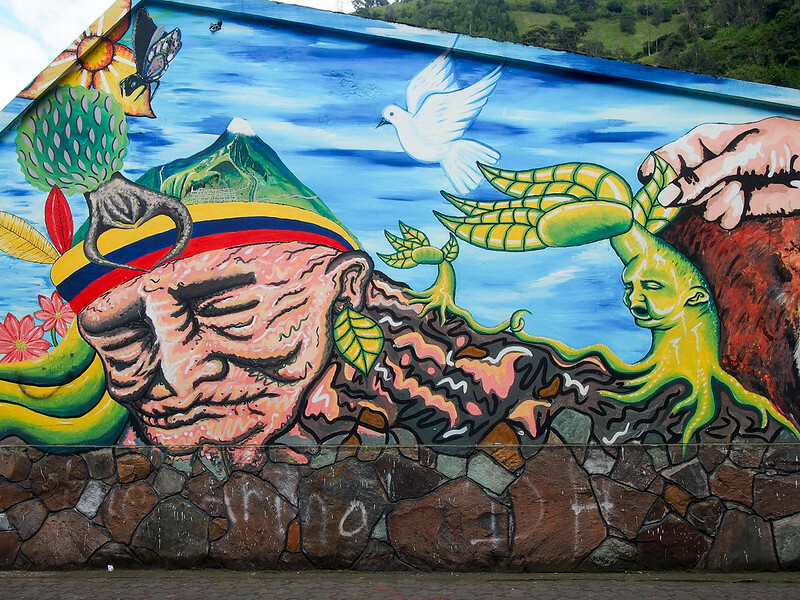 So, at the end of the day, would I recommend Intrepid Travel's Ecuador on a Shoestring tour? Despite long bus rides and sometimes worrying about stuff getting stolen, I do think this is a great introduction to Ecuador. South America can be a daunting destination, so having a tour leader to help you along the way is a great way to ease into traveling there. Plus, you really can't beat the price! Intrepid has just launched a line of , which will encourage people to leave their devices behind and fully experience destinations rather than seeing anything from behind a screen. 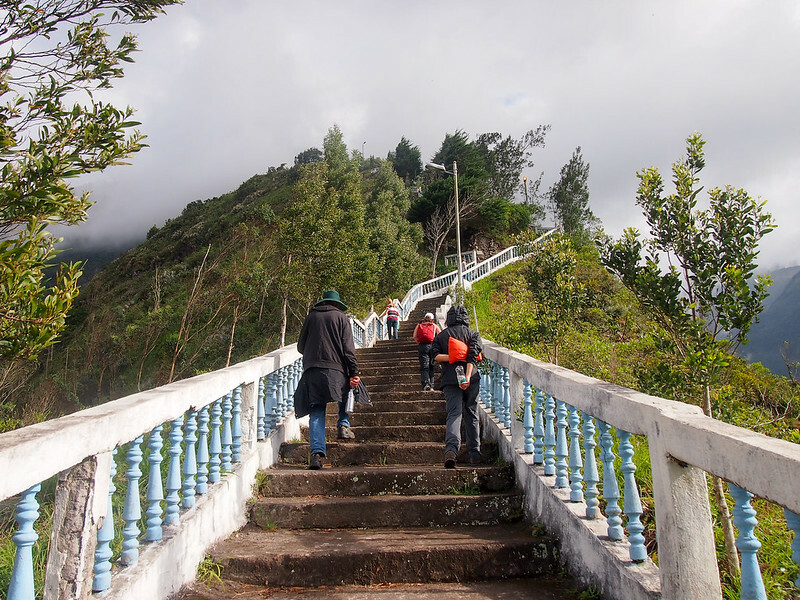 I decided to disconnect on my own Ecuador trip, and I can tell you that, while it IS challenging (especially for someone as device-addicted as me), it's worth doing. Read more about this digital detox trip . Is this a trip YOU would consider doing? Have you ever been to Ecuador? *Note: I did receive a complimentary tour of Ecuador from Intrepid Travel. As always, though, opinions are 100% my own. You know, I was the same way! I never really thought much about Ecuador beyond the Galapagos, but it’s actually a really cool country! A lot to see/do in a relatively small place. I did a similar tour in March, visiting the same places. Loved Ecuador, also my first time in South America, and I thought it was a good introduction…even though my bug bites are still healing, two months out. Love your blog! Yeah it was a nice introduction to South America for me. As for the bug bites, ugh! You need to get yourself a mosquito jacket! Haha. Ugh, I don’t think I could have put up with Spanish Jackie Chan movies for 17 hours!! Haha. And yes, I think most people would be safe in Ecuador as long as you take a little extra precaution. I think it’s a great idea to “unplug” for trips–doing that helps you to experience your surroundings more fully. I’ll be writing more about the digital detox experience in an upcoming post! It was indeed good for me, but also challenging! I’ve been thinking about doing a trip to Ecuador, but am going back and forth due to safety (I’d be going solo). This tour with Intrepid sounds like a great opportunity to see Ecuador, in a bit of a safer atmosphere…and on a decent budget too! Thanks for sharing, Akatuki! This is perfect for a solo traveler who doesn’t want to go completely alone. And you really can’t beat the price! Wow, super impressed with your split haha! 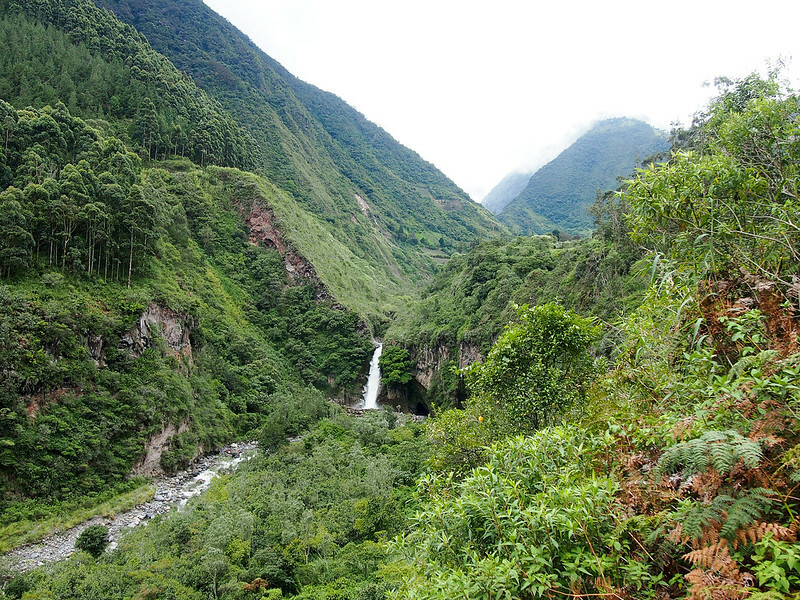 I love South America…those landscapes are just to die for. Such a beautiful area of the world! I’m totally itching to go back, and Ecuador seems like a really interesting option. If you’ve never been to Ecuador before, I would definitely recommend it! In terms of South America, my friends have recommended Ecuador above all! I guess when I make my way over there (unfortunately Dutchies do have to take an overnight flight) Ecuador will be my first stop! Awesome! Like I said, I think it’s a good intro to the continent, but not so huge as to be overwhelming. I thought a week was a good amount of time there! Wow, I love your pictures! Especially the tree swing, breathtaking. “Rainy afternoon at Casa del Arbol in Banos”. I would say brave, courageous but not ordinary. 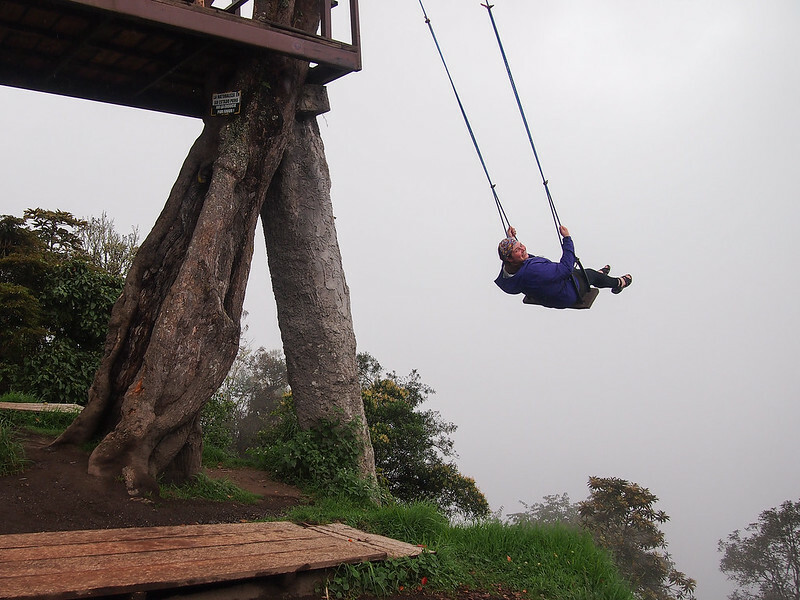 That swing looks a lot scarier than it actually is – and on a clear day you can see a volcano in the background! I’ve traveled quite a few times with Intrepid, and have always had a great experience! 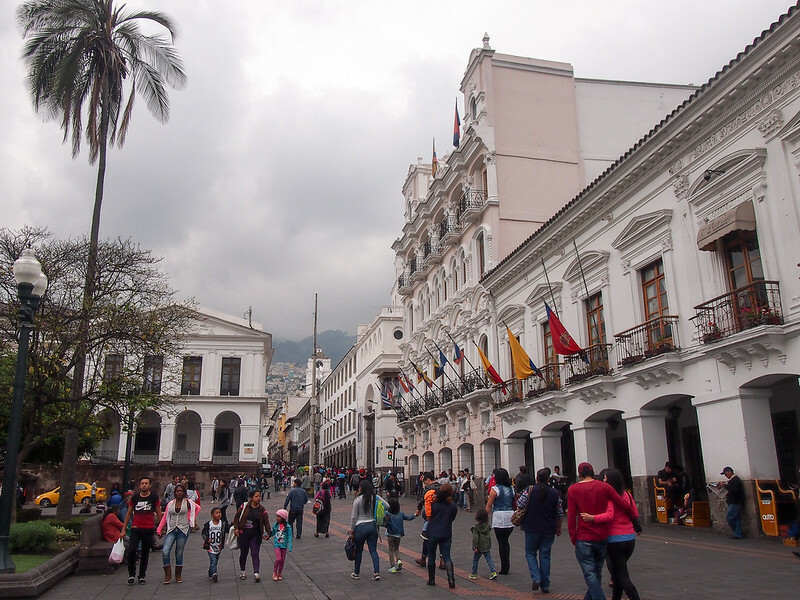 Ecuador is such a lovely country with so many things to offer, it’s cheap and the people are very friendly. And there is so much more to see than just Galapagos! Yup, it’s definitely more than just the Galapagos! That is a great price! I spent two days in Ecuador, on either end of a Galapagos trip, and really loved it – I would love to go back. We stayed in fairly basic hotels, and no, no more bugs than usual inside! Okay, now I have to visit Ecuador! I have wanted to for so long, and one of my best friends has been talking about it for so long, and I can see why! That hotel with the beautiful balcony and flowers looks gorgeous, as well as every other photo. The digital detox also sounds like a wonderful idea, I try to do that on every trip of mine because those are the best moments, with the most vivid memories. Intrepid travel seems like a great company to go with and was one I was considering. I will definitely choose them once I finally visit Ecuador! 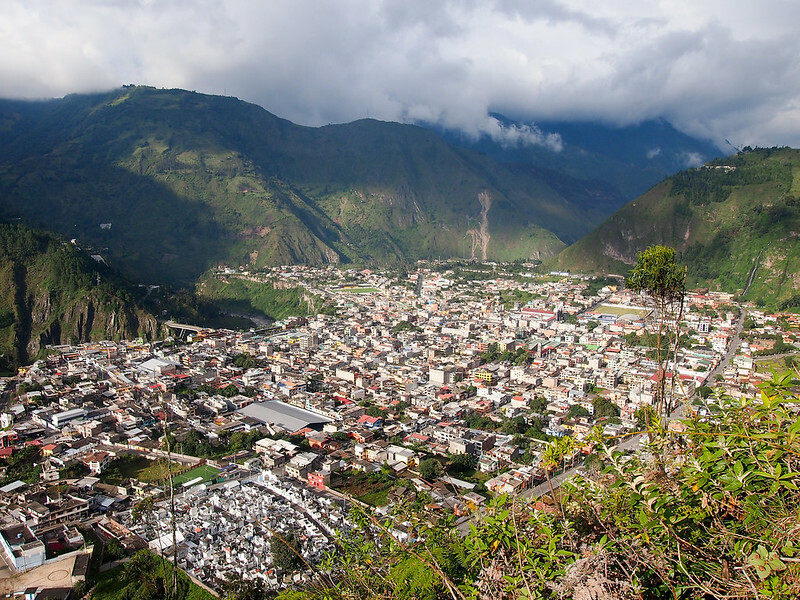 Intrepid is a great company to travel with, and Ecuador is indeed very cool! A few years ago I was in Ecuador and saw all that you did and more. It’s a great first time to South America place to visit because it’s small, currency is familiar, yet exotic. I spend a few weeks on a volunteer project cataloging orchids in Mindo Cloud Forest. 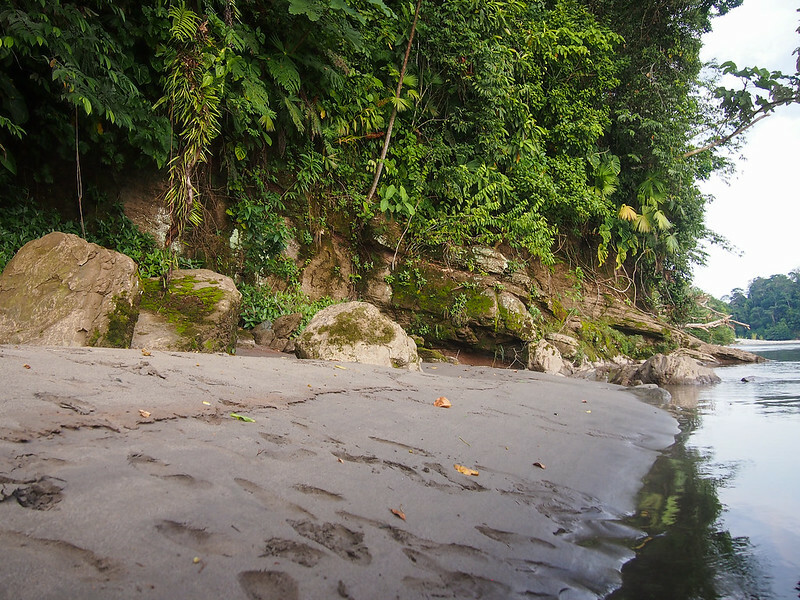 As awesome as it was, Ecuador, for me, will always be the place I caught malaria. [That mosquito jacket would have been a good idea]. Oh no!!! Malaria is no good. 🙁 I’m in Africa now, and there are a few places here with mosquitos, but not enough for me to want to take antimalarials – hopefully my mosquito jacket will do the trick again! Surprisingly, outside of the Domincan Republic, I’ve never been to South America. I love the Asian continent you see…! However, I would consider this trip and perhaps for a little longer still, since I would be coming from Germany! The hotels look quite OK although I would probably be wary of going on trips that say “basix” these days lol! How basic was it really? Are we talking cold water and thin mattresses or homestays? Homestays I can live with, but constant cold water and hard-stone pillows remind me of my trip to India. Aaargh! I’m currently on the basix ultimate South America, including Ecuador on a shoestring and I can’t fault it. We’ve been seriously impressed with the accommodation on a basic tour, much better than we expected. We’ve visited some amazing places and had fab guides. Highly recommended. I so want to go after reading your experience. But this same tour doesn’t seem to be available any more. Split at equator is too good. And swing picturer, no words for it.